I attended the Blogapalooza event just recently. It was my first time to do so and I was glad that I attended. There were some brands and products that really interested me and I want to share them with everyone. One of the products that caught my interest is Musli Biscuits. Musli biscuits with 40% oats in Hazelnut flavor. 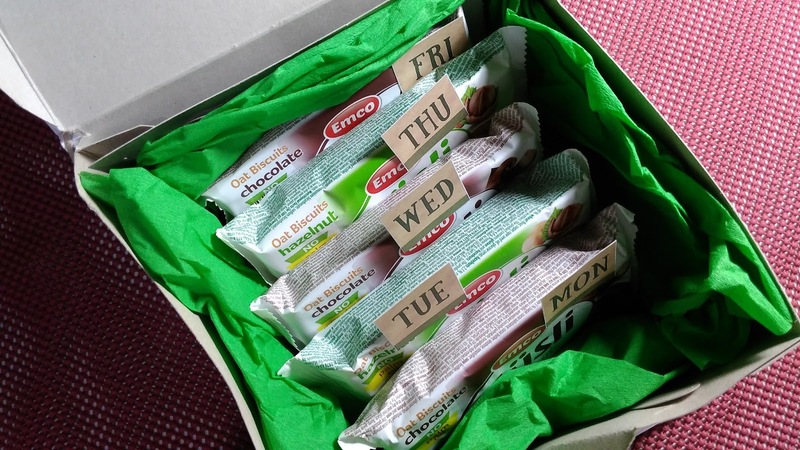 People who exercise often find themselves eating expensive protein bars and other pricey health snacks. This can take a toll on your budget so a cheaper but a still healthy option is much needed in the market. Musli biscuits satisfies both these requirements. 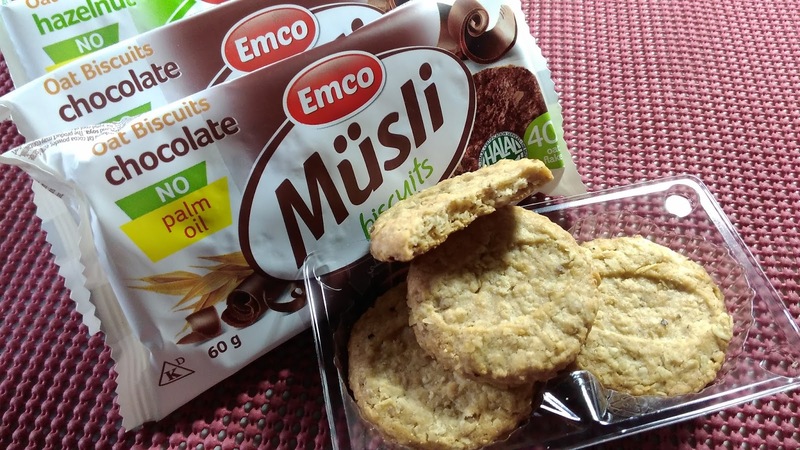 Musli biscuits are a great healthy snack alternative. It is low in sugar and high in fiber because it is made up of 40% oats. It also contains nuts and fruits which makes it a healthy source of energy. 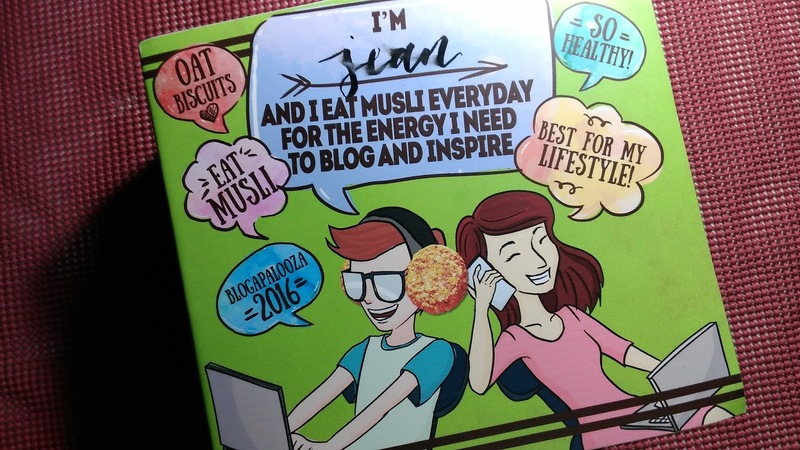 The box of Musli biscuits that I got from the event. 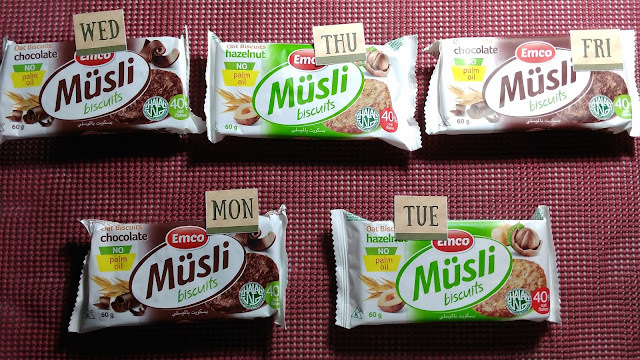 A whole week's supply of Musli biscuits. Musli healthy biscuits can be your daily snack. You can alternate between Hazelnut and Chocolate flavor for different days. Also, each pack contains 6 biscuits and because each biscuit is so filling you can keep the other pieces for the next day. It is also Halal-certified and does not contain palm oil. So far, I have only tasted the Hazelnut variant. As expected, the texture is quite grainy because of the oats but it is soft and chewy so it's not difficult to bite into unlike some health bars which are hard to bite. It also tasted quite good even if it wasn't sweet. It is indeed a healthy and tasty combination of oats, nuts and fruits. 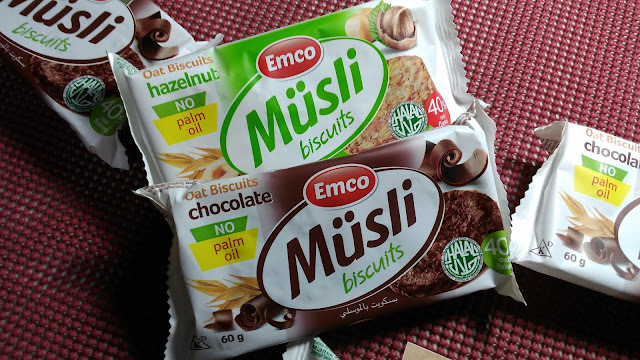 Just like other biscuits, Musli biscuits are also quite dry in texture so be sure to drink lots of water when you have these for a snack to ensure that you maximize the effect of the fiber in the biscuit's ingredients. At the moment, Musli biscuits are available at 711 stores but they will be made available in supermarkets soon.